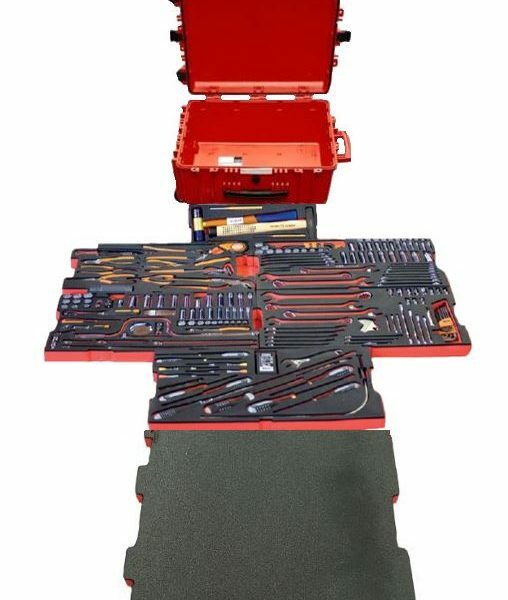 Tool case trolley made out of synthetic resin, black, watertight, impact-resistant, with pressure equalising valve, Inlays in two colours, red/anthracite, Skydrol resistant. 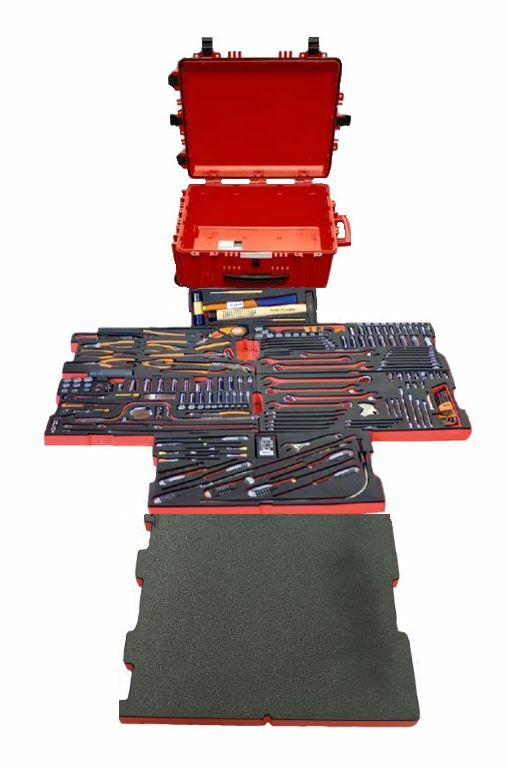 This case includes a spare foam should you wish to expand your tool kit further. 236 BAHCO aviation handtools inch/metric, specialised for Helicopters integrated in six different layers.